There's nothing scary about this killer shark! This 10-piece jigsaw is a great educational toy. It has brilliant blue and grey colours with some scary shark teeth. 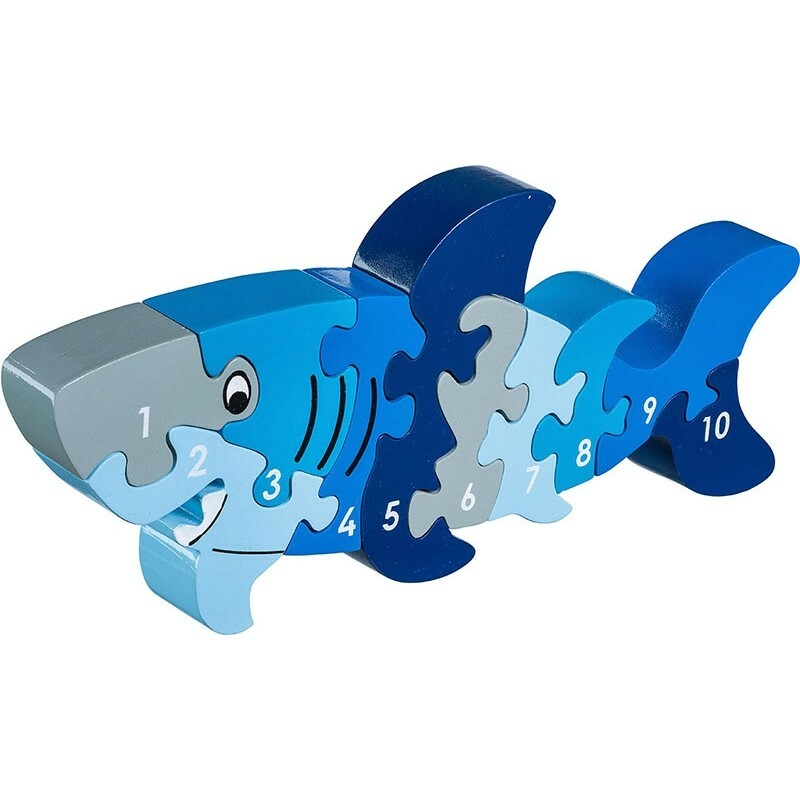 As children slot the brightly painted pieces together, learning numbers as they go, they will see a super shark emerge. Each piece is numbered from 1-10, encouraging counting and colour recognition. Ethically made from solid rubberwood, this fun jigsaw will soon be a favourite. This jigsaw measures 11.7cm x 22.8cm x 2.5cm. Suitable from age 3. Not suitable for children under 3 as small parts constitute a choking risk. Schematic play: This toy will appeal to children demonstrating the positioning schema - balancing, sorting and stacking toys and objects in a particular order or place. Sensory toy: hand-eye co-ordination, fine motor skills.